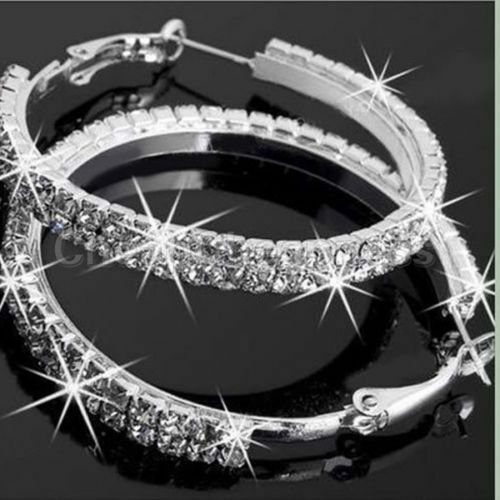 Gorgeous CZ Women's Hoop Earrings Only $3.16 + FREE Shipping! You are here: Home / Great Deals / Amazon Deals / Gorgeous CZ Women’s Hoop Earrings Only $3.16 + FREE Shipping! Gorgeous CZ Women’s Hoop Earrings Only $3.16 + FREE Shipping! Sparkly hoop earrings are a staple for every woman’s jewelry collection, and if you’re needing a pair or want to grab an extra one, check out this HOT deal – get these GORGEOUS CZ Women’s Hoop Earrings for just $3.16 + FREE shipping! How pretty are these?! They would make a fantastic gift for someone, too!